NATHAN OSAGIEDE, popularly known as NATE G’ hails from Edo State. Born 16th April, 1985; he discovered his love for music at the age 7. He along side four of his siblings sang as a team in church Crusade programs, but he was outstanding with his voice, so he continued along with his piano lessons. He is one of such artist that has decided to make a great impact in the gospel world, not only ministering but also inspiring. 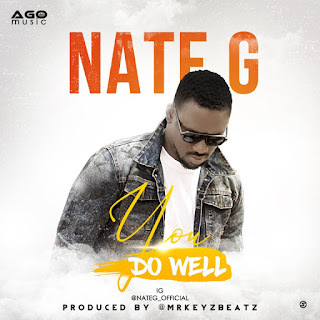 One of the popular songs by ‘NATE G’ is titled ‘Brand New day’, which was released in 2016 off his Album “New dawn” and produced by Mrkeyzbeatz. NATE G who is currently signed to A.G.O, a Recording outfit based in Abuja, is set to release a classic tune to start the new year titled: ‘YOU DO WELL’ produced by Mrkeyzbeatz..